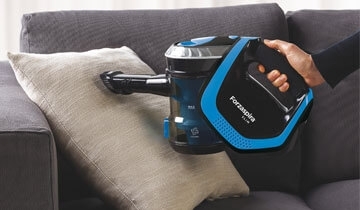 Forzaspira Slim SR100 is the rechargeable multifunction vacuum cleaner to eliminate dust even in the most difficult to reach areas like drawers and wardrobes, but also armchairs and car interiors. 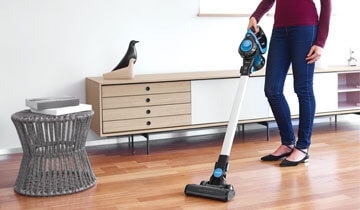 Forzaspira SLIM SR100 is the cordless vacuum cleaner designed to promote maximum freedom of movement, help you cleaning effortlessy even the most difficult corners, from floor to ceiling. Light and versatile, you can easily connect the lance or nozzle accessories with nylon bristles directly to the metal tube, reaching even the most distant points such as ceilings and wardrobes for effective cleaning of the entire house. 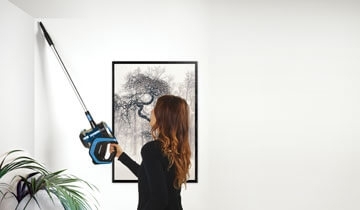 Light and versatile Forzaspira SLIM SR100 can easily clean from floor to ceiling: the lance or the nozzle accessories with nylon bristles can be connected directly to the metal tube reaching even the most distant points such as ceilings and wardrobes for a thorough cleaning of the whole house. PORTABLE: ALWAYS CLEANING AT YOU FINGERTIPS! 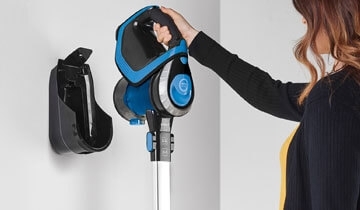 With a simple action Forzaspira SLIM SR100 becomes a practical and light portable vacuum cleaner, to comfortably clean even the most difficult to reach places. 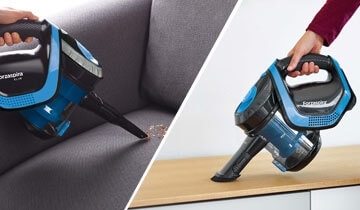 By connecting the lance accessory or the nozzle with nylon bristles, you can remove dust and dirt from small surfaces such as upholstered furniture, shelves, drawers, cabinets and car interiors. 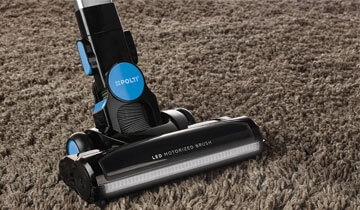 The motorized brush of FORZASPIRA SLIM SR100 with its mechanical action removes even the most difficult dirt, for maximum performance on all floors, including carpets and rugs. 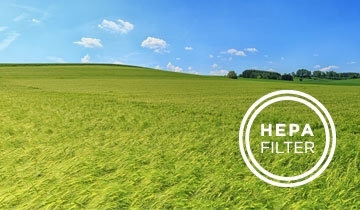 LED lights can also detect hidden dirt, for even more effective cleaning. 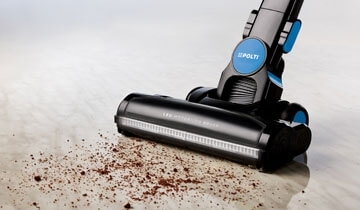 An appliance to clean all floors: with Forzaspira SLIM SR100 you do not need to change the brush because it has been designed to go from floors with tiles to carpets but also on wood-covered surfaces. Forzaspira SLIM SR100 has an ergonomic handle particularly comfortable and manageable even during long cleaning sessions; it's wireless and lightweight at only 2.6 kg, so you can clean everywhere with minimal effort. Once the cleaning session is finished, it can be easily fixed to its wall support so it's always to hand for quick cleaning. 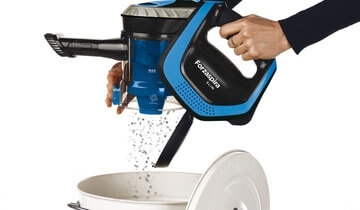 Forzaspira SLIM SR100 is bagless and this makes it easy and quick to clean: you just need a simple click to empty the the dust bucket!